I once worked with a rather cute couple who both went from chicken tender loving omnivores to vegans overnight. One of them even went raw vegan. Some number of months before this, I had been thinking about raw veganism but never really considered going fully raw; instead, I typically ate fruit for breakfast and a large salad once or twice a day, but I always had some cooked food too. I like to think I inspired them; I was probably the only vegan they knew at the time, though I wasn’t particularly close with either of them. But despite my caution about going fully vegan in a matter of hours — and my stern warning against going completely raw — they did it anyway. She — the noobie raw vegan — gave up quite quickly. Like, a couple days. She thought that eating nothing but fruits and vegetables, with nuts and seeds sprinkled in, would be the healthiest diet possible. But she later realized that the health claims surrounding raw veganism are seriously flawed. I don’t know if they’re still vegan — I haven’t seen either of them since I graduated college four years ago. But this tiny anecdote served it’s purpose: to segue into the dangers of a raw vegan diet. For one, the volume of food that one must consume is enormous. Vegan foods are already less calorie-dense than meat and animal products; that goes double or triple for uncooked fare. So it’s quite easy to feel full without actually consuming enough calories. This will leave you feeling tired. In order to meet your calorie needs, you really have no choice but to consume fruit. A lot of it. There’s a website called 30bananasaday.com where raw vegans connect and discuss their lifestyle. 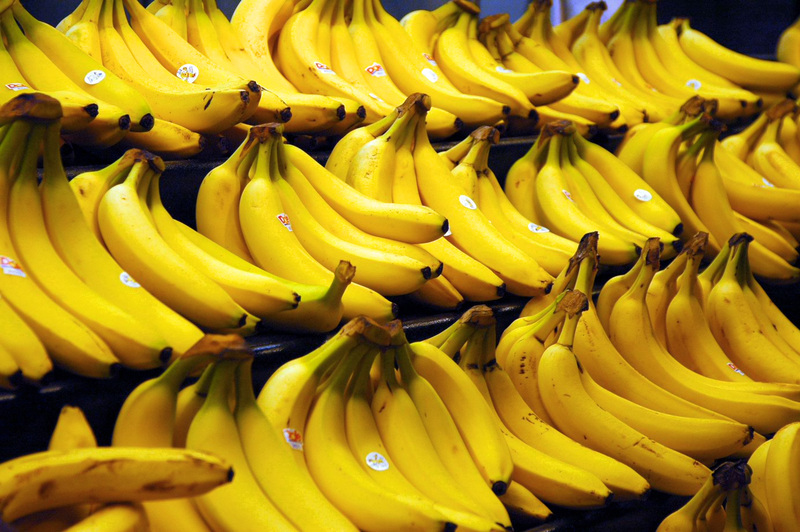 Yes — 30 bananas a day. That’s 433 grams of sugar. Many of the people in this community are extremely active, necessitating the nearly 3,200 calories contained therein. In fact, it’s probably physically impossible to obtain the necessary number of calories without that much sugar. Moreover, eating such an inordinate amount of one fruit may be the only conceivable way to keep a raw vegan diet even remotely affordable. So in order to believe that raw veganism is at all a good idea, one must believe that consuming hundreds of grams of sugar and nearly a kilogram of carbohydrates on a daily basis is healthy. Pro-tip: it’s not. It’s likely not a coincidence that Steve Jobs, a vegan who apparently consumed raw foods almost exclusively (he was a fruitarian for some period of time), died of pancreatic cancer. The supposed evidence supporting raw veganism reeks of pseudoscience. It contains the usual claims that humans are meant to be vegans, but piles on absurd notions that cooked foods cause inflammation, cause problems for the digestive tract, and lead to cancer and other diseases. They also claim that cooking kills nutrients in vegetables when, in fact, many vegetables’ nutrients become more bio-available when heat is applied. Finally, raw vegans tend to not concern themselves with the necessity to supplement. I’m no expert, but it’s unlikely that necessary supplements, such as B12 and Omega 3’s (from algae, not seeds, which are inadequate), are synthesized without heat. Indeed, in the YouTube videos I used to watch of such figureheads as FullyRawKristina and Dr. Douglas Graham (a hygienist who people listen to for nutrition advice, for some reason), taking B12 is brushed aside as unnecessary; it’s in the soil, they say, so you can get it by simply neglecting to wash your carrots before eating them. Again, this sort of thinking is in line with the notion that raw veganism is the way we’re supposed to be. Why would you be concerned about your health when you’re eating the healthiest diet there is? So raw veganism is a bad idea. If you can even afford it, you’ll end up paying a ridiculous amount of money to consume an absurd amount of sugar. Despite what the community will tell you about the supposed dangers of cooked food and the health benefits of a raw diet, remember that their entire argument rests on the claims that (a) sugar isn’t bad for you, (b) that vegetables are meant to be eaten raw, and (c) that supplementation is unnecessary. It’s not only wrong, but also quite dangerous.